【Seoul Grand Park】consists of themed areas for education, nature, and amusement. The park is known for its various amusement facilities and scenic beauty. Seoul Grand Park’s major attractions include Seoul Grand Park Zoo, Children's Zoo, a rose garden, Seoulland amusement park, and the National Museum of Modern and Contemorary Art, Gwancheon. 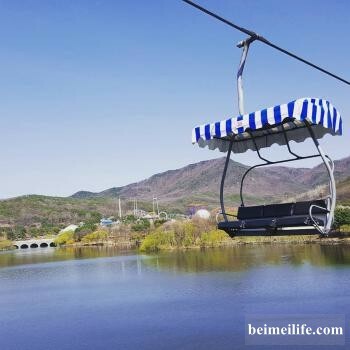 Take the Sky Lift in Seoul Grand Park, enjoy the fun scenery and romantic views. Take an elephant-shaped train to Seoul Zoo. ★After application, if you would like to change departure date, please inform us 3 days before departure date, thanks! ★After appliation, if you would like to cancel day tour, please inform us 2 days before departure date, if you did not inform us on time, tour fee will not be refunded, please accept our sincere apology! ★There may be traffic jam, thanks for your consideration for any inconvenience caused! ★Itinerary may be adjusted according to actual condition, please be noted! ★Fees included: Round trip transportation, ticket fee, parking fee etc.